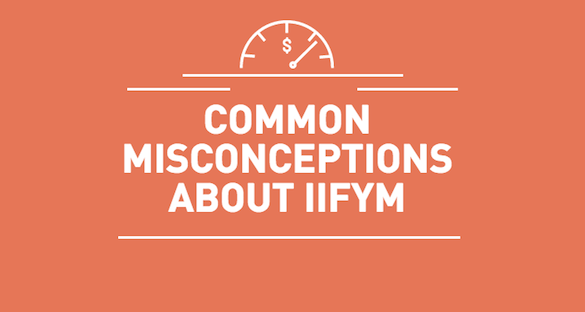 Part of why there are so many common misconceptions about IIFYM is because there are essentially two types of flexible dieters/IIFYM-ers. On one hand you have those who eat all “junk” foods with little to no regard for micronutrients and fiber. On the other hand you have those who eat mostly whole foods or “clean” foods and just have some “junk” on the side. Those who may seem like they eat “junk” all day most probably don’t eat that way the whole time. If you are basing your assumptions about IIFYM based on photos a certain individual posts on social media of his/her food, then you’re not seeing the entirety of that person’s diet. Just because he/she posts photos of ice cream every night doesn’t mean that he/she isn’t eating other foods throughout the day. For all you know, that person ate chicken and spinach the whole day and then had that one bowl of ice cream at night. Nothing wrong with that of course, but again, this is a reminder that what you see on social media is only a tiny nugget of information. Those “diet foods” are great for you and are superior to processed foods in terms of quality. What flexible dieting does is that it gives one a wider range of choices that make life a little easier for those who don’t necessarily want to compete but just want to live a healthier lifestyle. People who claim that you can stay healthy, lean and fit, and eat sugar all day as long as it fits your macros, are misinformed. That or they’re just trying to sell you a macro plan. The truth is, flexible dieting isn’t 100% “clean” or 100% “bad” either. Most people who do practice flexible dieting end up eating more whole foods than processed foods the majority of the time, but there are also those that don’t. Again, it depends on your goals. If you don’t really want to be healthy per se but want to look healthy (hey, it’s your life. that’s your business), then flexible dieting/IIFYM can help you do that. If you want to look healthy and eat nutritious foods too, flexible dieting/IIFYM can help you do that as well.